Hungary called on the Organization for Security and Cooperation in Europe (OSCE) to send its permanent monitoring mission to the Transcarpathian region due to the "tension" in the region. Peter Szijjártó, Hungarian Minister of Foreign Affairs, voiced this demand during the 24th meeting of the OSCE Ministerial Council in Vienna, saying there are so-called "nationalist sentiments" in Ukraine. "Hungary supports Ukraine in many spheres ... We finance many infrastructure and institutional projects; that is why adoption of the law on education by the parliament (of Ukraine) this September was a real disappointment for us. This law takes away the existing rights of national minorities, which relate to education and training in their native language. 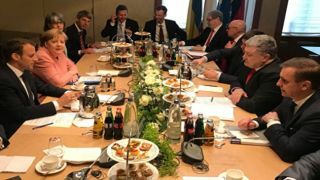 It fully contradicts Ukraine's bilateral and multilateral commitments, including its OSCE commitments," European Pravda quotes the Hungarian minister as saying. After the statement about the "discriminatory" education law, Szijjártó spoke on the tense situation in the Transcarpathian region. "We are concerned about the tension in the Transcarpathian region, where 150 thousand Hungarians live. There were anti-Hungarian demonstrations joined by residents of other regions of Ukraine, during which there were desecrations of national symbols and anti-Hungarian slogans were chanted. In this regard, we insist on the permanent presence of a special OSCE monitoring mission in the Transcarpathian region", he concluded. As was earlier reported by EADaily, Hungary's Deputy Prime Minister Zsolt Shemen previously said that ethnic Hungarians abroad have the right to autonomy and Hungarian citizenship. According to him, "Hungarian citizenship for Transcarpathians is not only an emotional issue, but also an existential one, since it allows you to move around the world freely". The Hungarian minority lives, mainly, in the Transcarpathian region.